Converse All Stars, also known as Chuck Taylors, are classic basketball sneakers that still complete an everyday, casual look. As with any well-worn footwear, these rubber and canvas shoes tend to get dirty with time and will need some periodic upkeep. To make sure you are cleaning your All Stars the right way and maintaining the shoes‘ quality, read on for some tried and tested tips. Mix together a solution of equal parts mild liquid soap and water. Dip an old toothbrush into the mixture, and gently rub away at dirt and stains on the shoes. 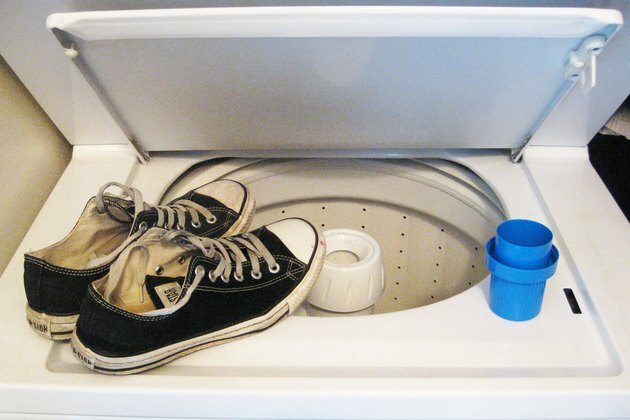 Place the shoes in a washing machine if hand cleaning does not get rid of all the stains on the canvas. Be aware that this may fade some of the color from the shoes, especially darker colors or extremely bright hues. 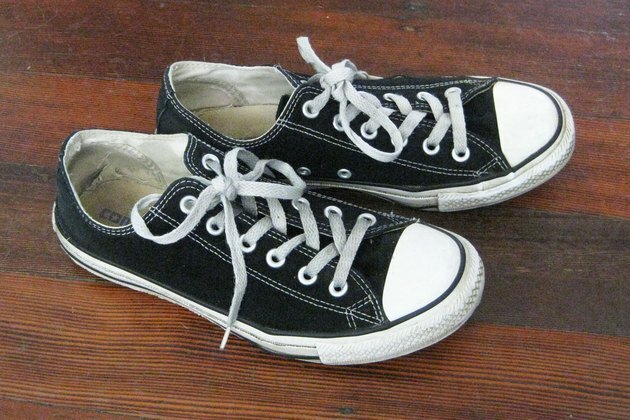 Use about 1/3 cup mild detergent, such as Woolite, for each pair of Converse All Stars you wash.
Set the shoes in a warm dry place indoors and away from extreme heat until they have fully dried. The drying process can take one to two days. Always wear a quality pair of socks with your Converse All Stars. They not only will prevent foot odor but also will absorb the perspiration that can result in stains on the canvas of the shoe. After each wear, open up the shoes, pulling down the tongue with the All Star logo to allow the footwear to breathe and any odors to dissipate. Store the shoes at room temperature. 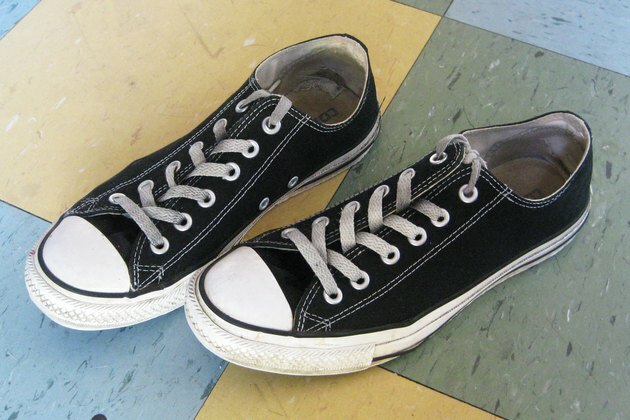 Do not use any type of bleach product to clean your Chuck Taylors, because these can turn the white rubber parts yellow and reduce the strength of the shoes’ fabric. 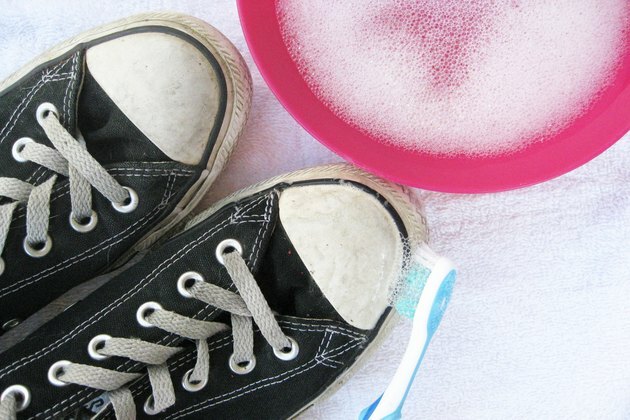 Do not use petroleum products to clean or shine your Converse shoes, because they will damage the rubber.